Brewing at Fredericton’s Grimross is all about sourcing the best ingredients. They strive for authenticity and to be true to their craft. They do this by sourcing local ingredients whenever possible. 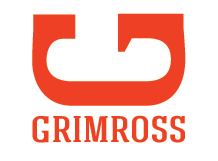 Most of the hops used at Grimross are grown right in New Brunswick. A light farmhouse ale. Floral & spicy with a crisp dry finish.